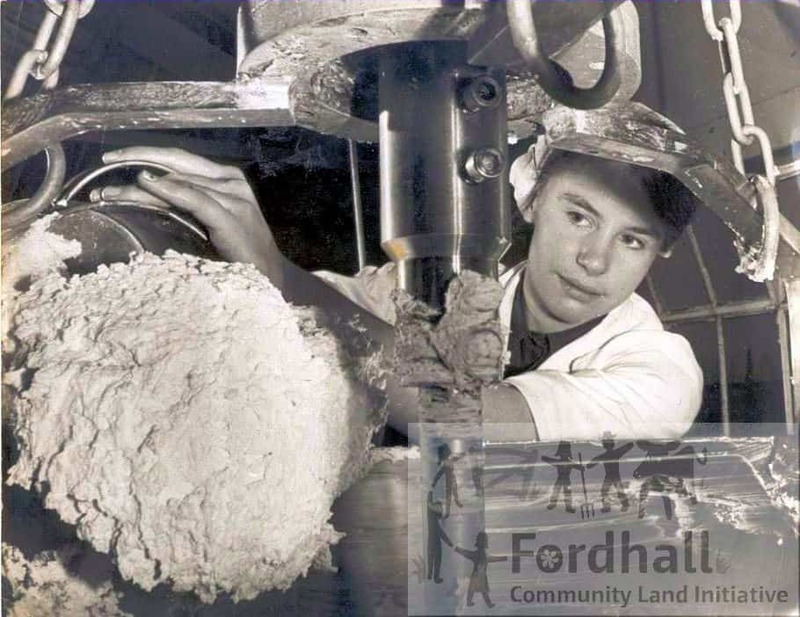 In 1957 Fordhall Farm was producing Farmhouse Cheshire cheese, cream cheese, yoghourt, yoghourt cheese, farmhouse butter, and farm bottled Jersey TT milk, milk cocktail (milk flavoured with coffee, strawberry, chocolate or vanilla). Arthur however was not satisfied and wanted to sell even more dairy products. He was already investigating cottage cheese. They began producing two varieties of cottage cheese- one plain, the other with additional cream. Then different flavourings began to creep in. “That was really my husband’s idea,” said Mrs Hollins. “You know how men like cheese and onion!” Sunday Pictorial May 1958. Arthur experimented with various different flavours of cottage cheese. These cheeses sold well for cocktail parties, and other occasions requiring snacks.The popular flavours included herbs such as parsley and sage, watercress grown in the Fordhall beds, onion, cucumber, celery, horseradish, pimento and gherkin. Shrimp, lobster, crab and salmon, supply the fishy varieties. And under the heading ‘exotic flavours’ pine-apple, nuts and wine, pickled walnuts and paprika. In 1958 May used salmon- caught the legal way- as one of the 40 flavours for her home-made cottage cheese.